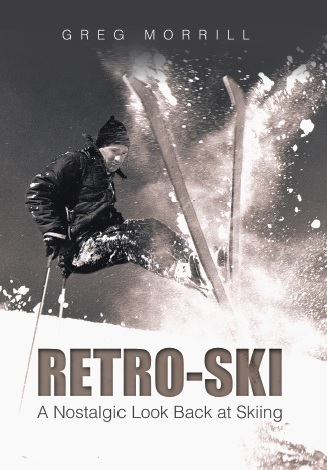 For me the beginning of the ski season in 1968 was the weekend of November 9th when Sugarbush opened. Remember that was before any areas had significant snowmaking so that early opening was based on natural snow. The only lift running was the old Valley Chair. I was skiing with one of my roommates, a native Vermonter who had gotten sucked up in my skiing enthusiasm. He bought all new equipment and I’m pretty sure he felt the equipment and my enthusiasm were the answer for him to be a better skier. The only lift open was the Valley Chair so up we rode. When we got off the chair I was so excited to try my new Hart Javelins that I started down Snow Ball immediately. I don’t know how long a burst I skied, but the Javelins were awesome! I finally stopped and waited for my roommate….and waited….and waited. Apparently the new equipment hadn’t been the answer after all. We actually would go skiing together a lot that first season, but we found we were happier if we each went our own way once at the area. Sugarbush in 1968 was just Lincoln Peak. It did have a three passenger gondola or the “Ménage à Trois” as it was called. And of course, the Castle Rock chair was already there – I swear they still have that original chairlift today! The area opened on Christmas day 1958 which makes this year its 60th anniversary! Sugarbush was founded by Damon and Sara Gadd along with 10th Mountain Division veteran Jack Murphy. 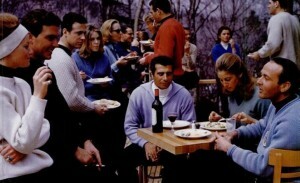 Both the Gadds and Murphy had run ski lodges at Mad River Glen. The Gadds had very influential contacts within the New York City “beautiful people”. These included Oleg Cassini, restauranteur Armando Orsini, and orchestra leader Skitch Henderson. There was even a chartered bus, the Sugarbus, that ran from Park Avenue on Friday evenings and returned Sunday evening. Passengers could party all the way to Sugarbush, ski and party all weekend, and then party all the way back! Soon the area earned its nickname Mascara Mountain. All kinds of correct answers last week. Steve Edwards identified Sugarbush as Mascara Mountain and says that he and his wife Dorrit skied there in the 1970s. I also heard from Glen Findholt, a long-time skiing buddy of mine dating back to our college days! Glen shared a memory from his first time at Sugarbush when he was skiing with me and our “usual posse” which included Bob Penniman. As Glen tells it, “At some point we were synchro skiing in a line and I caught an edge and fell. Penniman was right behind me and rather than lose his cadence he pole planted right in the middle of my chest!” Glen went on to say that he had the scar right through the end of that season.